I’ve never really been in a fight. Took a swing at a kid once in high school, but he’d already turned around and was walking away. Needless to say I missed – and he never even knew. My freshman roommate and I wrestled once – over video games. I was nearly involved in a melee at a Georgia Tech game, but luckily (for them is how I remember it) their frat boys walked away at the first sign of beer. And then there is my run in with the small town of Jackson, South Carolina. It’s bright and early on a September Saturday and I was feeling a little frisky – and rightfully so. My wife was pregnant and we were nomads living in a house with someone we didn’t know. As such, I decided to go “All In” for this adventure, which meant orange everything: shoes, socks, shorts, drawers, shirt, and hat. My buddies not all that thrilled, but not surprised. But not embarrassed either. The trip to Clemson starts off innocently. And then we realize no trip is complete without boiled peanuts. As we leave the Bomb Plant (just Google it), we decide the next place selling boiled peanuts is getting our business. We came down a huge hill that leads into Jackson and we could see the sign from about a mile away. We ease into the right lane and make our stop. I don’t do well in discussions about my team. Especially when I don’t start it. Especially when the last time Clemson and Carolina played, Clemson won 63-17. Especially when I am with someone my size. Especially when speaking with someone who’s accent is more pronounced than mine. He snorted. And sold us some boiled peanuts. Paw comes around the corner standing less than 5′-6″ and weighing just under 150 pounds. All muscle. And he has two friends. And they’re all smiling a crooked smile. Then the son fills his paw in on the story – his side. They’re about ready to “do this”. Us? We’re more talkers than doers. At this point, it’s time to go. But I’m still caught up in the moment. My buddy turns to get the car. I start slowly walking to the car, backwards, saying something I’m glad I don’t remember. Paw and crew keep walking toward us. My buddy runs to the car. I do some quick math. I don’t like what I’m coming up with. About six hours, a bag of boiled peanuts, and an incredible story later, karma made her appearance and the world was introduced to Calvin Johnson. My only regret, besides everything I said and did during that brief lapse of judgment, was that I never figured out the correct color. So you tell me – what is the correct color? As I grow older, I am becoming more and more convinced of one thing: I cannot be anything or anybody I want to be. There are limits to my abilities and regardless of how hard I try or train, there are certain skill sets I will never attain. I have saws, drills, levels, and tape measures, but I’ll never be a carpenter. I can barely build a tree house or install trim without needing wood filler, extra nails, and a sore thumb. I just don’t get it. I have paint rollers, brushes, paint, and smocks, but I’ll never be a painter. All the painter’s tape in the world won’t keep me from making you feel sea sick as you inspect my work. I just don’t get it. I have pipe, wrenches, glue, and tape, but I’ll never be a plumber. I can change out a faucet, repair a toilet, and even look like a plumber while performing these tasks, but the multiple trips to Home Depot and the hours staring at the fittings tell me I’ll never make a living doing this. I just don’t get it. I have a garage full of motors, fantastic tools, a stereo playing classic rock, and hand cleaner, but I’ll never be a mechanic. Some people, like Dad, can just stare at an engine and get it to crank. Not me. I can read mountains of manuals, listen intently, get my hands dirty, and watch videos, but I can’t get it to work. I just don’t get it. I have landscape beds, hanging baskets, grass, and a little land, but I’ll never be a gardener or landscaper. I can barely keep native trees and weeds alive, nevertheless actual plants, fruits, and flowers. I can buy the best equipment, get the advice of buddies, and pray for rain, but nothing grows for me. I just don’t get it. I have a cabinet full of tupperware, an attic full of stuff, a messy garage, the closets of two little girls, and a degree in engineering, but I’ll never be organized. After dinner, I have nine green beans in the largest container, three pounds of rice in sandwich baggies, and the steak wrapped in foil. The fridge is stacked three deep with last month’s milk stuck in the back. When I try to clean the garage or the girl’s closets, I just sit there in a Xanax filled state, sucking my thumb. No matter how hard I try, I cannot get organized. I just don’t get it. I have two piles of wood, reams of paper, cool utensils, and a large pack of lighters, but I can barely start a fire. And even if I do get it started, I struggle keeping it burning. This may not be a bad thing – unless you like slow cooking succulent meats for long periods of time! I spend most of my time tending the fire rather than prepping the meat. I just don’t get it. However, if something stops working, bring it over here. Have a new electronic device? Let me show you how it works. Don’t understand a sport? Pull up a chair. Math problem got you frustrated? That’s no problem. Your young child is crying? Watch this. Random song or fact stuck in your head? We’ll figure it out. While my talents may not solve practical problems – or save us money – they’re still my talents. And someone somewhere needs them. And I’m okay with that, because that’s how God made me. It would be poor form to stand by the doors following a special music concert or a speech by a missionary and swipe credit cards. You lose the anonymous part – and would draw the ire of Dave Ramsey. No, this has to be a cash only proposition. As mentioned, as long as kids earn allowances and lose teeth, cash will be king. I’m not sure how prudent it would be to open an account in your five year old’s name, require them to balance a check book, and entrust them with a credit card. Waiter. Cabbie. Bellhop. Delivery Man. All jobs that live on tips. And while some can be paid by credit card – not all. And they make their living on our graciousness. And cash carries a lot more grace than plastic. The summer job market would plummet if everyone were paid by credit card, or even check. 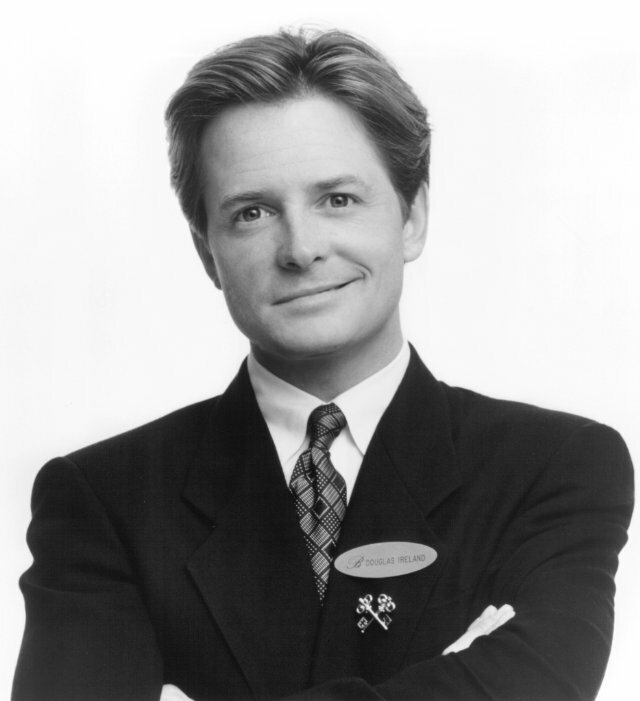 The whole premise of a summer job is to earn some walking around money – money that never sees a bank or a tax return. And if summer jobs went away, so would summer love. And if summer love went away, so would Applebees and Olive Garden and companies that sell nasty chocolate and cheap jewelry. And if they all went away, so would the import of Chinese goods. Wait – this is about cash, not Apple and the iPad. You can’t participate in office pools or join raffles without cash. Unless you’re George Rogers, the Heisman winning running back from USC (I can’t make this stuff up), you can’t buy drugs with a check. And you can’t make it rain in strip clubs with plastic. And as long as we have vices, we’ll have cash to support them. Nothing better than an ice cold coca-cola from a vending machine. 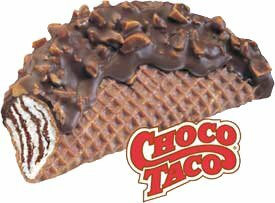 Or a chaco taco from an Ice Cream Truck. Or a chili dog from a food truck. All gone without cash. We have so much stuff that at some point, we have to sell it. And any method of sale requires cash – no plastic taken here. Cash is king everywhere. I was in a small town in Mexico and didn’t have any Mexican dinero, but I had Gringo cashola. And it purchased a coke and a Mexican ice cream sandwich, of which I still dream about. I’m not so sure the exchange rate worked in my favor, but I didn’t care – and the store owner didn’t either. On a more serious note, one of the main reasons cash will never die is because of credit cards. As long as there are credit cards, there will be an alternative – cash. Transaction fees, interest rates, fraud, scams. They are ripe for trouble, and the best way to stay out of credit card trouble is abstinence. I’m not fond of that word, but in this case, it seems appropriate. The IRS. Just the letters make you cringe, especially with April 15 less than two weeks away. As long as we pay sales tax, we will have cash. And because of our tax laws, people will always look for a way around them. Why pay a third of your profits to the State and Federal governments just to use a credit card or billing system. Ask anyone if this is their best price and watch it drop when you bring the word cash into the negotiation. I’m not a proponent of skirting the law of the land, but I am a proponent of getting the best deal I can. And if that means I pay with cash, then so be it. What the recipient of that cash does is their decision. 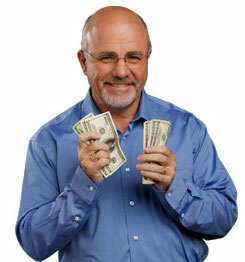 And ultimately, the main reason we will always have cash – Dave Ramsey. The debt reducing, folder touting, cash is king, “Live like no one else so one day you can LIVE like no one else” preaching adviser. I’ve been through the class, I’ve studied the notes. I’ve dropped the cable and refinanced the house. And as long as he has a platform (which he will as long as we are in debt – so forever), then smart people will stay away from plastic and deal with the stress of purchasing their goods with cold, hard cash.